The Albany was launched on 13 June 1987 and commissioned April 7, 1990. She incorporated the latest in state-of-the-art combat systems, vertical launch tubes and Arctic ice breakthrough capability. 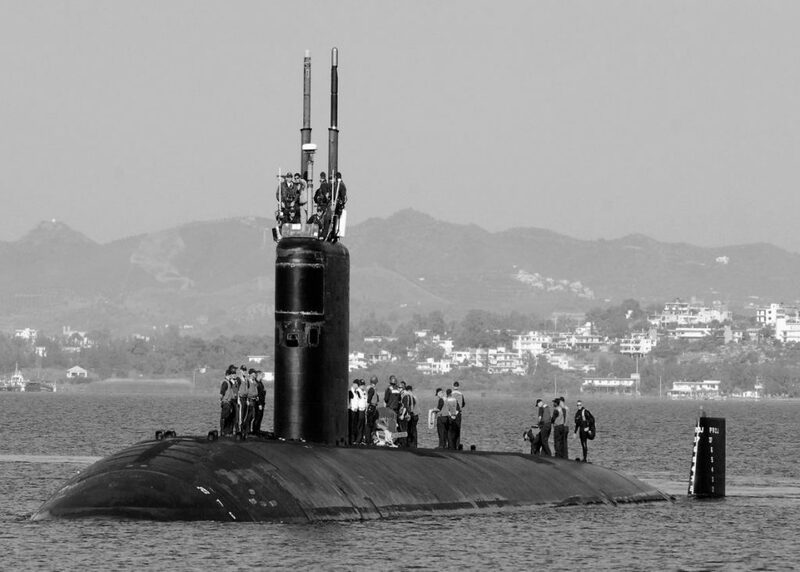 The fifth and present Albany is a Los Angeles Class Attack Submarine numbered SSN-753. Her keel was laid down 22 April 1985 and built by Newport News Shipbuilding and Drydock Co., Newport News, VA. Sponsored by Mrs. Nancy Kissinger, she was launched on 13 June 1987 and commissioned on 7 April 1990. She incorporated the latest in state-of-the-art combat systems, vertical launch tubes and Arctic ice breakthrough capability. Her displacement is 6,080 tons surfaced and 6,927 tons submerged, 110.3 meters long, 10.1 meters wide and 9.9 meters high. She’s nuclear powered by one GE PWR S6G with two turbines. The turbines provide 35,000 HP to her single shaft. There is a Magnetek auxiliary prop motor of 325 HP. Her speed is 32 knots submerged. The Albany has a complement of 13 officers and 121 enlisted. McNulty, D-NY was the main speaker for the ceremony which started at 11:00a.m. Mrs. Henry Kissinger was the sponsor for the 43rd nuclear powered submarine. Three former Commanding Officers attended the commissioning; Radm. Ben B. Pickett, Capt. Robert G. Merritt, and Capt. Robert C. Peniston. After ceremonial speeches from Mrs. Kissinger and Rep. McNulty, the crew manned the ship and the Albany slid down the incline. Albany was the last submarine to slide down the incline of greased wooden shipways at Newport News Shipbuilding. Submarines are now assembled using modular construction. Commanded by Cmdr. 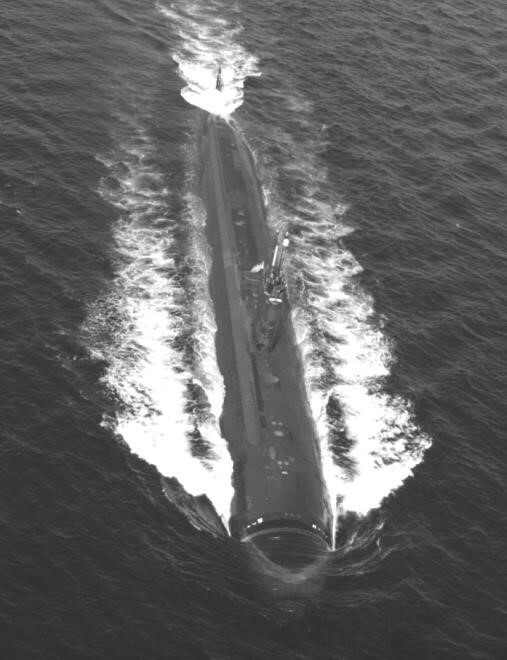 Darl R. Anderson, the Albany was assigned to Submarine Squadron 8 in Norfolk. 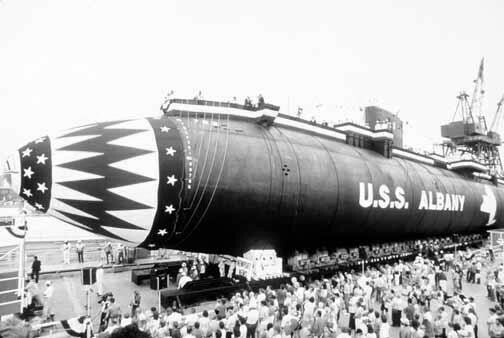 In addition to marking the end of an era, Albany’s commissioning marked the beginning of an advanced design of the 688 Class Attack submarine. Improvements over previous ships included retractable bow planes, arctic ice break-through capability, vertical launch tubes for the Tomahawk cruise missile, and the AN/BSY-1 Submarine Advanced Combat System. Nuclear powered submarines use the best of advanced technology to achieve the attributes of stealth, endurance and freedom from logistics support, and firepower. This combination of attributes is not duplicated in any other platform. 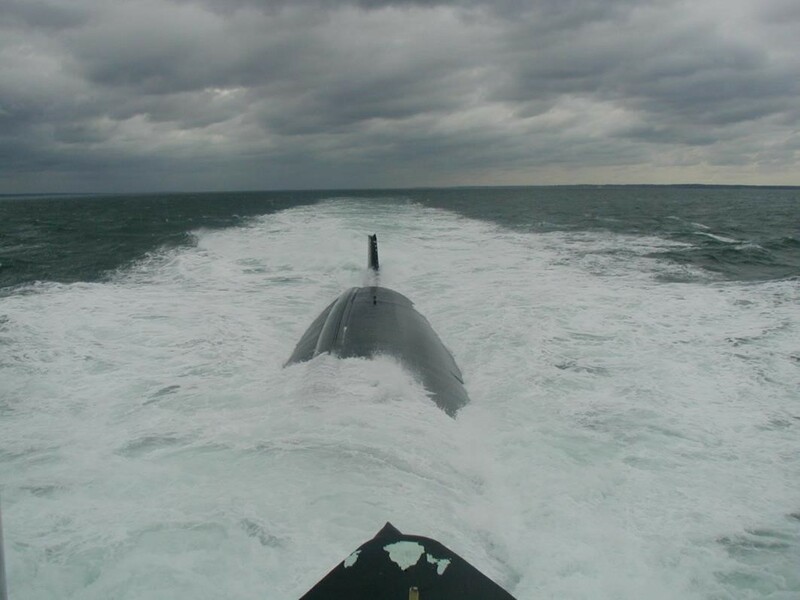 Submarines are a vital part of the Navy’s “Forward From the Sea” doctrine, bringing to bear proven shallow water operational capabilities including mine warfare, covert coastal surveillance and intelligence gathering, operations with special forces, and combat search and rescue. Further, the submarine’s ability to strike targets at, below and beyond the water’s surface makes it a potent asset in the nation’s arsenal. USS Albany SSN-753 successfully completed a post sea-trial availability at Newport News Shipbuilding and Drydock Company. 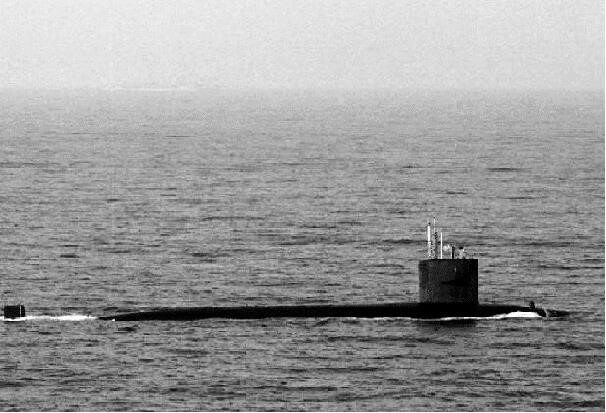 She then proceeded to Norfolk where she was transferred from Submarine Squadron EIGHT and became the first Los Angeles class submarine in Submarine Squadron SIX. Albany then began to establish herself both as an outstanding warship and ambassador of goodwill. She successfully completed all assigned exercises and became the centerpiece of the USS Albany Memorial Association reunion at Cocoa Beach, Florida. The crew of Albany greatly impressed the surviving members of past ships bearing the name Albany. 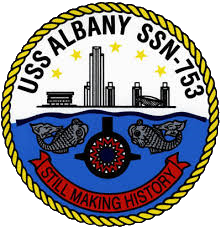 In fact, so impressed were they that they changed the name of their association to the USS Albany Association to include members of the submarine Albany as well. Albany also hosted several VIP luncheons and dinners in Norfolk area always leaving visitors impressed with both the professionalism of the crew, and the quality of the meals. On 8 November, Commander Daryl R. Anderson was relieved by Commander William F. Murphy in ceremonies held in Norfolk. Under Commander Murphy, Albany continued to live up to her motto, “Still Making History.” In short, all equipment and weapons systems aboard Albany performed well and all operations performed by Albany were successfully completed. ALBANY successfully completed an overseas deployment which began in November 1993. 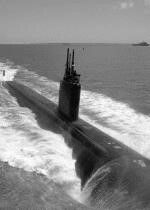 She received the Submarine Group Two Silver Anchor Award and the Submarine Squadron Six Deck “D” for 1993. Albany also received the Meritorious Unit Commendation for her first overseas deployment in 1992. Albany successfully completed all operational commitments. Albany successfully passed an inspection by the Board of Inspection and Survey. The Albany started off the year making preparations for a Mediterranean Sea and Persian Gulf deployment in support of the USS John F Kennedy Battlegroup. After completion of a drydock period in the USS RESOLUTE, the ship participated in COMPTUEX Phase II to become proficient in all associated support missions for the Battlegroup Commander. During ceremonies held pier-side on 21 February 1997, CDR Brian O’Neill relieved CDR Kevin Ryan as commanding officer of the Albany. The ship soon got underway for JTFEX which involved final certification for the ship’s role as a member of the JFK Battlegroup. After a dependents cruise on 23 April, the ship completed Sea Trials and was underway on 29 April for an Atlantic Ocean transit to the Mediterranean Sea. Albany conducted INCHOP, a briefing liaison, to Commander, Sixth Fleet on 10 May. After a brief port call in Gibraltar, the ship transited to La Maddalena, Sardinia and moored alongside the USS Simon Lake. After other port calls in Toulon, France and Palma, Spain, the ship participated in SHAREM 121 from 23-30 June. 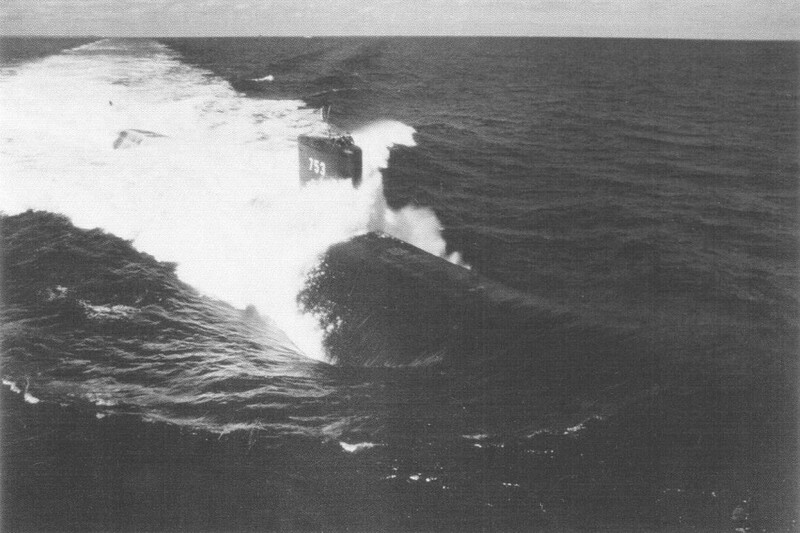 SHAREM 121 was an undersea warfare exercise involving numerous NATO ships and aircraft. After SHAREM 121, Albany anchored at Corfu, Greece for liberty. Following the Corfum port call, Albany returned to sea to conduct a VIP cruise for several Italian dignitaries off La Maddalena, Sardinia. On 15 July, the ship mourned the loss of a shipmate ET3 Matthew Davis. 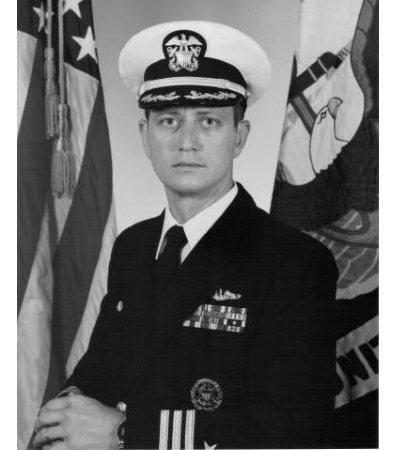 He was transferred to USS Simon Lake AS-33 early in the morning but died of heart failure due to a previously unknown defect. The ship completed a transit to the eastern Mediterranean Sea and a five day port call in Haifa, Israel. On 15 August, Albany hosted all serving Israeli submarine commanding officers during a day-long VIP cruise. After de-barking the riders, the ship arrived off Port Said, Egypt to embark RADM Grossenbacher in preparation for a transit through the Suez Canal. 17 August saw the first ever trip of the Albany through the Suez Canal. The ship INCHOPPED to Commander, Fifth Fleet and was an important Tomahawk strike capable asset while conducting operations in the Persian Gulf. The ship visited Mina Sulman, Bahrain from 28 August 28 to 6 September where she hosted Vadm. Fargo, the Fifth Fleet Commander. Albany returned to the Mediterranean Sea via the Suez Canal on 25 September. After a three day stop-over in Limassol, Cyprus, the ship made passage to Souda Bay, Crete for a personnel transfer and thence to La Maddalena, Sardinia for a final upkeep before the end of the deployment. The ship hosted ADM Reasons, Commander Atlantic Fleet for a televised VIP tour while in La Maddalena. Albany steamed through the Strait of Gibraltar on 13 October, and completed training and engineering plant preparations throughout a crossing of the Atlantic Ocean. After a personnel transfer at Bermuda to embark the Nuclear Propulsion Examining Board, the ship conducted an Operational Reactor Safeguards Examination and returned home to Norfolk on 28 October. The ship steamed over 34,000 miles during its deployment and visited eight different ports of call. After a post-deployment stand down and entry into the drydock USS RESOLUTE, the ship commenced a Selected Restricted Availability (SRA) conducted by the Norfolk Naval Shipyard on 1 December. Albany completed a dual media discharge and began replacement of both the propulsion shaft and sonar dome. (SRA) 2-1 conducted by the Norfolk Naval Shipyard. After two and a half months in the drydock, extensive repairs were completed on the ship including shaft, propeller and sonar dome replacements. Following SRA, the ship conducted Sea Trials in the Virginia Cape OPAREAs and returned to a fully operational status. In March, the ship proceeded to Port Canaveral, Florida for crew liberty including a ship’s picnic and a VIP orientation cruise for French Admiral Nerzic (chief of the French Military Mission at SACLANT). A short transit took the ship to the Atlantic Undersea Test and Evaluation Center (AUTEC) in the Bahamian Tongue of the Ocean. Engineers from Naval Surface Warfare Center, Carderock Detachment boarded Albany for the conduct of Acoustic Trials. After a brief stop home in Norfolk, the ship returned to AUTEC for a series of operations including ORANGE force support for a Tactical Readiness Evaluation and a MK 48 ADCAP Torpedo Proficiency Certification. 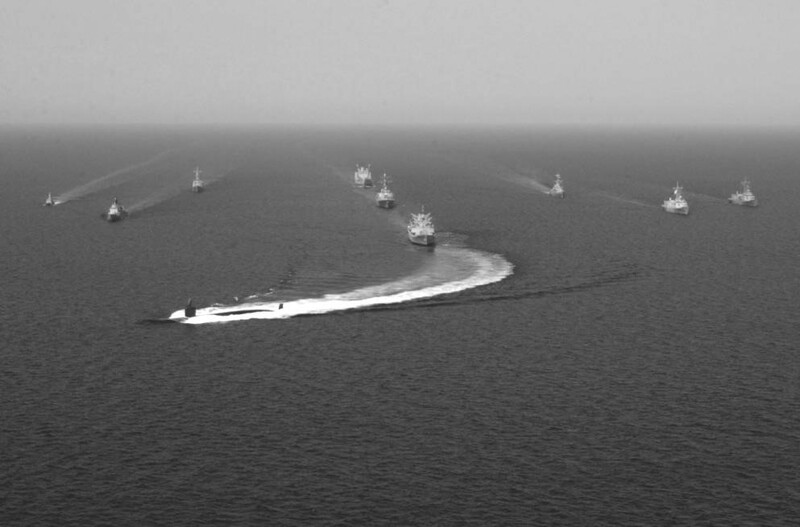 While operating in the Tongue of the Ocean, the ship conducted exercises under British Navy OPCON using Royal Navy water space management rules. A return to home port led to the conduct of a SPRUCE while moored in Norfolk. The ship was particularly successful in utilizing the new SPRUCE barge and its newly installed powder coating equipment. On 27 April, Albany got underway for transit to Roosevelt Roads, Puerto Rico to embark the first of two groups of Submarine Prospective Commanding Officers (PC01) including the PC0 Instructor Commander Lotring. Two weeks were spent on the Atlantic Fleet Weapons Test Facility (AFWTF) Range during the conduct of PC0 Operations. Exercises included periscope approaches on ORANGE surface warships, sonar approaches on ORANGE force SSNs, and special warfare operations using Navy SEALS. During the conduct of PC0 Operations, Albany successfully launched and recovered twenty-four exercise ADCAP torpedoes during a wide variety of tactical encounters. CORTRAMID, the ship hosted 45 midshipmen from a variety of colleges and universities across the country. At least half of these individuals voiced a strong interest in a possible career in the submarine force after riding Albany. 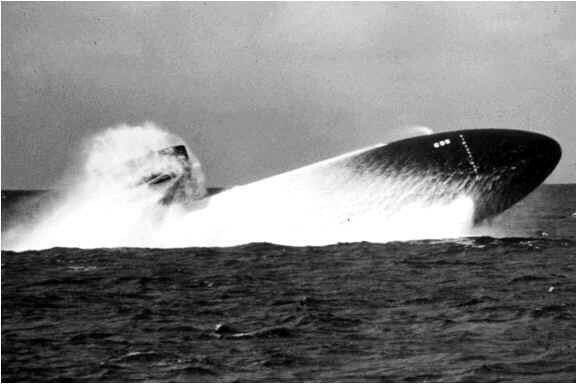 Also of note, ELLIPSE ALFA was a U.S. Atlantic Command sponsored exercise. Albany commenced its own Pre-overseas Movement preparations and received various installations in support of the upcoming six month North Atlantic deployment. The ship transited to Groton, Connecticut for two weeks of Pre-deployment Training provided by Submarine School. While in Groton, the ship replaced the battery. This was necessary because a shift in the upcoming deployment from late April to early February 1999. The crew was given the opportunity to put theory into practice during two weeks of Basic At Sea Scenarios. The end of the year saw the Albany finish a second POM (Program Objective Memorandum) Upkeep followed by Sea Trials and a holiday stand-down. The crew finished last minute preparations for an anticipated deployment date in February 1999. The Albany deployed to the Mediterranean for six months in 1999. After returning from deployment, CDR Paul “Chip” Jaenichen relieved CDR Brian O’Neill as Commanding Officer of the Albany in a Change of Command ceremony on 10 September 1999. 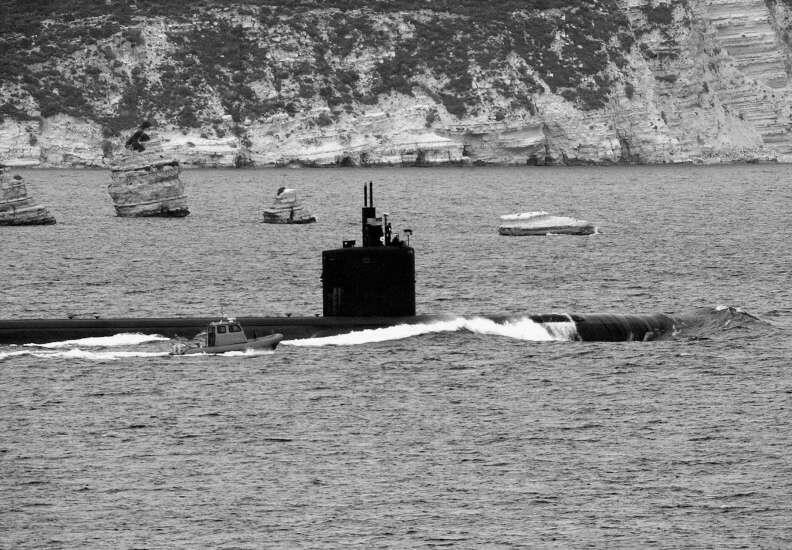 The Albany was again deployed to the Mediterranean on 26 June 2000. Commander ‘Chip’ Jaenichen and members of his crew visited Albany, NY on 7 March 2001 for a three day visit. The members of the Albany were greeted by members of the USS Albany Association. After checking-in to the hotel, the crew paid a visit to the Mayor of Albany where they were welcomed to the city and exchanged gifts. The crew then toured the Albany Heritage Exhibit. On 8 March, a reception was held for the Captain and his crew, members of the Albany Association, and city dignitaries. The next day included tours of the Navy’s Nuclear Power Training Facilities at Ballston Spa, NY, the Knolls Atomic Power Laboratories, and a visit to the Iroquois Middle School to honor Ms. Carol LaRow and her students. The students wrote letters and sent cookies to the crew of the Albany. The Albany was nearing completion of a 13-month Depot Modernization Period at Norfolk Naval Shipyard. The ship rests on keel blocks in dry-dock while the shipyard conducts major hull repairs and preservation. With a 15 May undocking date in sight, the crew was aggressively preparing to have the ship waterborne once again. In the next couple of months, every member of the crew will have to be re-qualified on their respective watch stations. From new Sonar and Fire Control systems to upgraded propulsion plant control and instrumentation, Albany will return to operation as the most high tech submarine in the world. The anniversary of 11 September found the crew in the midst of work-up inspections. 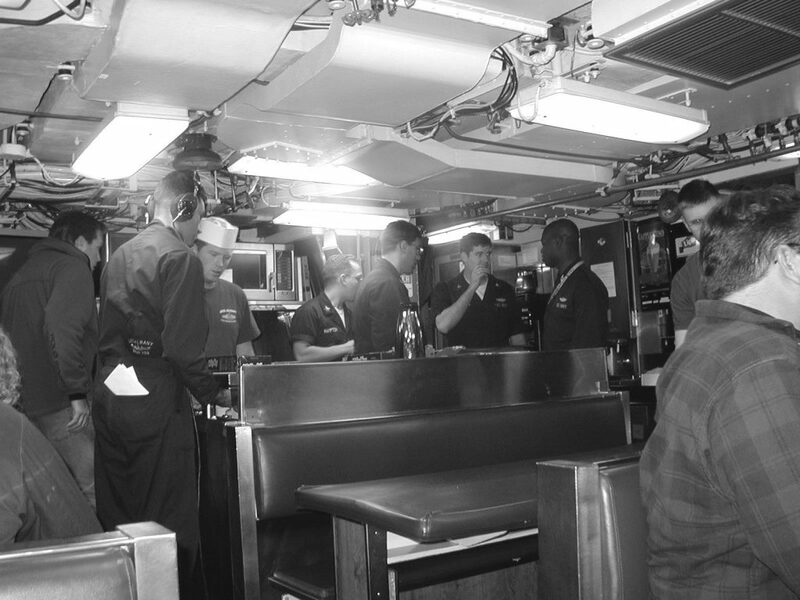 The crew dutifully mustered at 0530 to prepare for drills and at 0745, Cmdr. Genoble had the opportunity to address the crew over the 1MC circuit. At the end of the address, the crew, who were dispersed throughout the ship, stood as one and recited the pledge of allegiance. Shortly after 0846, when the crew secured from a fire drill, a moment of silence was observed. The flag was flown at half-mast and a special Jack, the “First Jack” was flown aboard the Albany. The First Jack has a red and white striped background, a rattlesnake, and the words “Don’t Tread on Me” as a display of our defiance against those who would cause us to live in fear. The Albany will continue to fly the First Jack as long as the war on terrorism continues. Albany is operational once again. Sea trials were conducted last November along with a period at sea just before Christmas. The Albany underwent INSURV inspection and weapons certification which is mandatory after shipyard periods. By the end of March, the Albany was fully certified and ready for deployment. During the month of September, the ship spent two weeks in Groton, Connecticut conducting training for deployment early next year. The families of the crew also embarked on a very ambitious project. 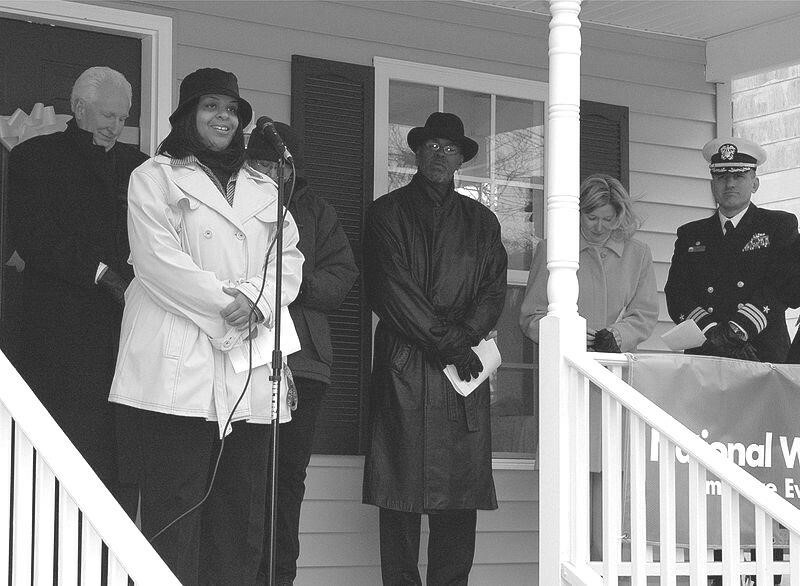 Working with Habitat for Humanity, the spouses raised the required funds to build a house which was donated to a family in the Southampton Roads area in Virginia. While underway, she provided support in the Persian Gulf and Gulf of Oman for more than 150 days, helping to successfully deter Al Qaeda and international terrorists. The crew then proceeded to the Mediterranean Sea to participate in a Summer Pulse ‘04 exercise, Operation “MedShark/Majestic Eagle.” This joint maritime exercise was conducted to develop interoperability between multinational forces and address critical undersea warfare objectives in the European area of operation. Genoble, a native of Montville, New Jersey, graduated with distinction from the U.S. 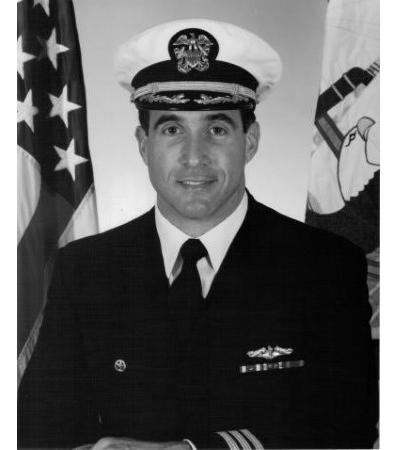 Naval Academy in 1985 with a Bachelor of Science Degree in Electrical Engineering. “I am sad but I am also proud,” Genoble stated, “proud of the accomplishments of this crew. I am proud because they became a team where each member looks after each other. I am proud because I have seen new sailors become seasoned leaders. “I am proud because this crew has embraced a culture of continuing improvement and has learned to look at themselves critically, to honestly assess and to learn from everything they do,” he added. Genoble’s next duty assignment is as a senior member of the Nuclear Propulsion Evaluation Board, Commander, U.S. Atlantic Fleet, in Norfolk. Albany returned home to Norfolk from a six-month deployment on 20 November 2006. Albany participated in the first mission in the Gulf of Guinea and directly supported counter-narco terrorism operations in the Caribbean. 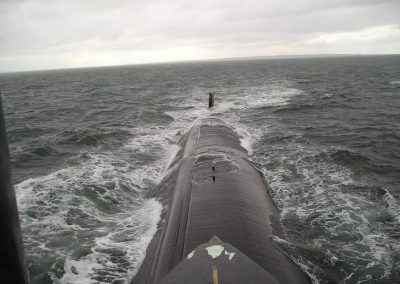 The crew demonstrated the great flexibility of fast-attack submarines, conducting a wide range of joint requirements supporting national security, as well as multiple operations contributing directly to mission objectives for both U.S. European Command (EUCOM) and U.S. Southern Command (SOUTHCOM). She also participated in missions in the Gulf of Guinea and directly supported counter-narco terrorism operations in the Caribbean, resulting in the confiscation of more than 2.8 tons of narcotics. On 14 June 2007, the Albany had a new Commanding Officer. Cmdr. Thad Nisbett assumed command from Cmdr. Mark Merrick during a. ceremony onboard the Albany in Norfolk. Cmdr. Merrick was re-assigned to serve as the senior board member of the Tactical Readiness Examination Team on the staff of Submarine Force Commander. Cmdr. 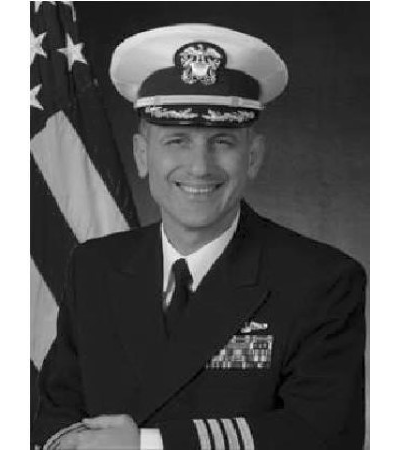 Nisbett was previously assigned to Submarine Development Squadron-12 at Groton, CT as the Sea Shield department head. Members of the Albany Association attending the Change-of-Command ceremony included: Bob Smeltzer and Joe Zarachowicz who both served aboard the CG-10, Max Gilleland and Bob Pruitt who served aboard the CA-123, and MMCM Mark Katona, USN, ex-crewmember of the SSN-753. In September, the Albany was in the Atlantic Ocean conducting an Expeditionary Strike Group Integration exercise (ESGINT) with the USS Nassau ESG in preparation for the upcoming deployment next year. On 25 April 2008, Albany departed Naval Station Norfolk for a scheduled deployment. On 10 May, she arrived in Souda Bay, Crete, for a routine port call and again on 11 June, Albany pulled into Souda Bay for a second port visit. Albany returned to Norfolk on 18 November after a seven-month underway period in support of Maritime Security Operations (MSO). During this period, the sub also visited Augusta Bay, Italy; Marseillles, France; Haakonsvern, Norway; Jebel Ali, U.A.E. and Manama, Bahrain. Cmdr. 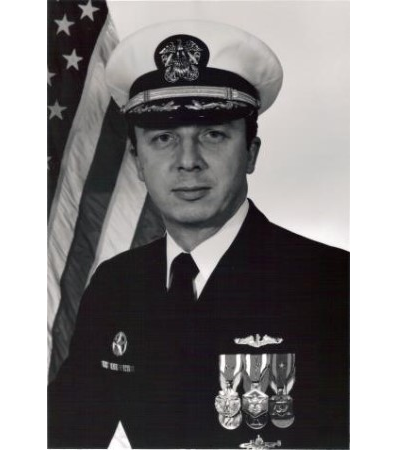 Thomas R. Buchanan, Jr., relieved Cmdr. Thad E. Nisbett as commanding officer of the Albany during a change of command ceremony on 15 October 2009 at Naval Station Norfolk. Cmdr. Buchanan’s prior assignment was as a Special Assistant to NATO’s Supreme Allied Commander for Transformation, and Commander, U.S. Joint Forces Command. 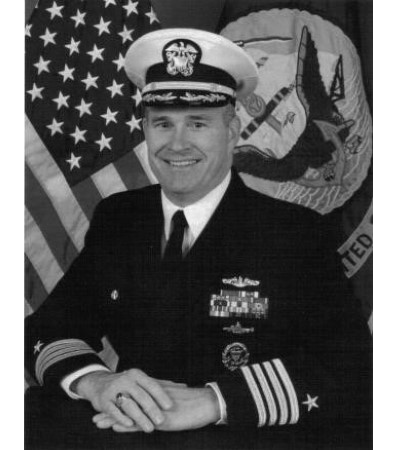 Retired Rear Adm. Michael C. Tracy was the principal speaker at the ceremony. 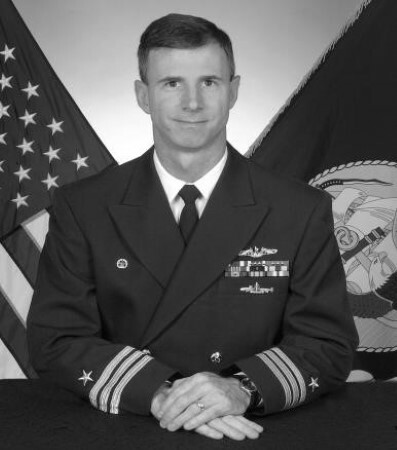 Tracy’s Norfolk ties include command of the Los Angeles-class attack submarine USS Newport News SSN-750; Submarine Squadron 8; and Carrier Strike Group 10. 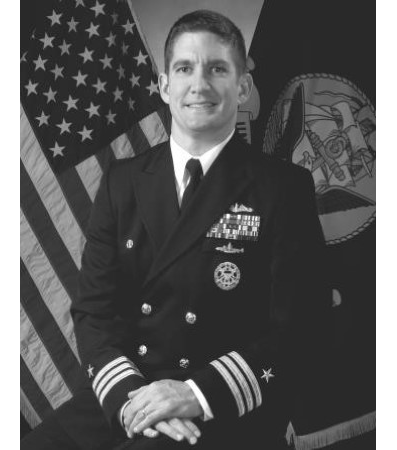 He also commanded Submarine Group Two and Navy Region Northeast in Groton, CT, during the 11 September terrorist attacks. CDR. Nisbett reported to the Defense Liaison Division on his next assignment. Command area of responsibility, conducting Maritime Security Operations while supporting national security interests. In executing the Chief of Naval Operation’s Maritime Strategy, Albany further demonstrated the submarine force’s great capability in providing global presence. During the deployment, the submarine traveled approximately 34,500 nautical miles, which is the equivalent of traveling back and forth from Norfolk to Miami 33 times. Port visits included Rota, Spain; two visits in Faslane, Scotland; two visits to Haakonsvern, Norway; and Lisbon Portugal. 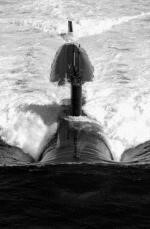 Only a submariner realizes to what great extent an entire ship depends on him as an individual. To a landsman, this is not understandable and sometimes it is even difficult for us to comprehend, but it is so! responsibility and trust in the hands of those who take such ships to sea. In each submarine there are men who, in the hour of emergency or peril at sea, can turn to each other. 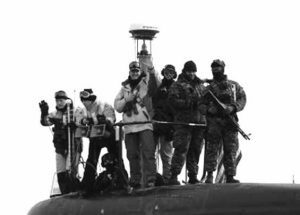 These men are ultimately responsible to themselves and each other for all aspects of operation of the submarine. They are the crew. They are the ship. This is perhaps the most difficult and demanding assignment in the Navy. 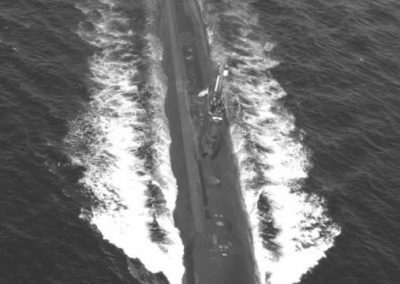 There is not an instant during his tour as a submariner that he can escape the grasp of responsibility. 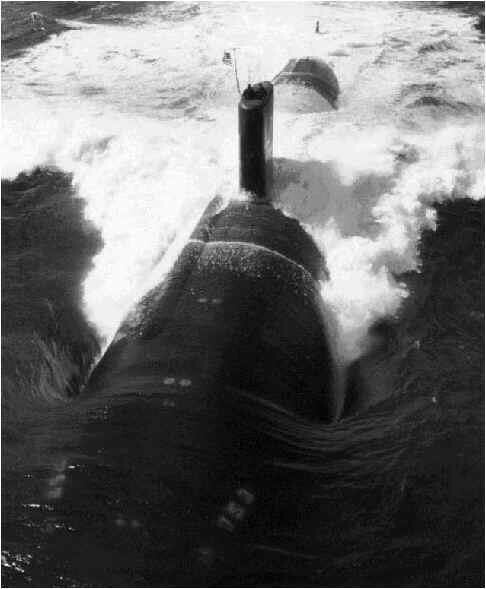 His privileges in view of his obligations are almost ludicrously small, nevertheless it is the spur which has given the Navy its greatest mariners – the men of the submarine service. It is a duty, which most richly deserves the proud and time-honored title of Submariner. A submarine practices an emergency surface off the coast of Norfolk. 24 Feb 2010 – U.S. 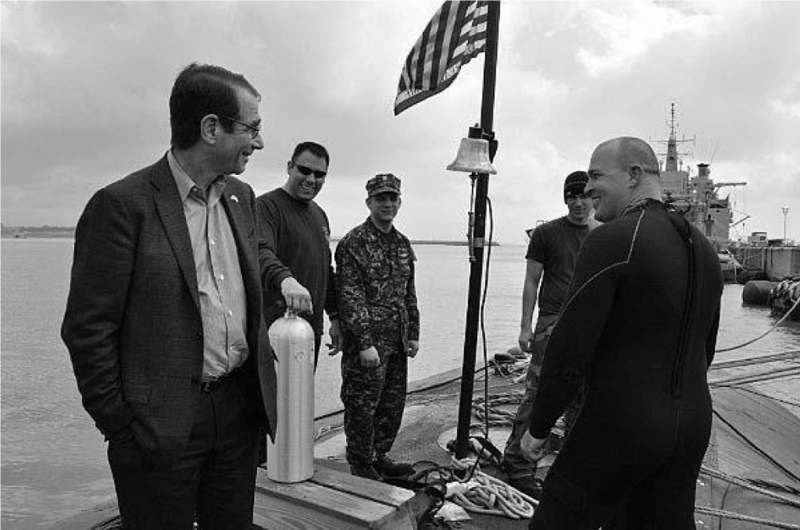 Ambassador to Spain and Andorra, Alan D. Solomont, talks with Sailors assigned to the Los Angeles-class attack submarine USS Albany (SSN 753) at Naval Station Rota, Spain. 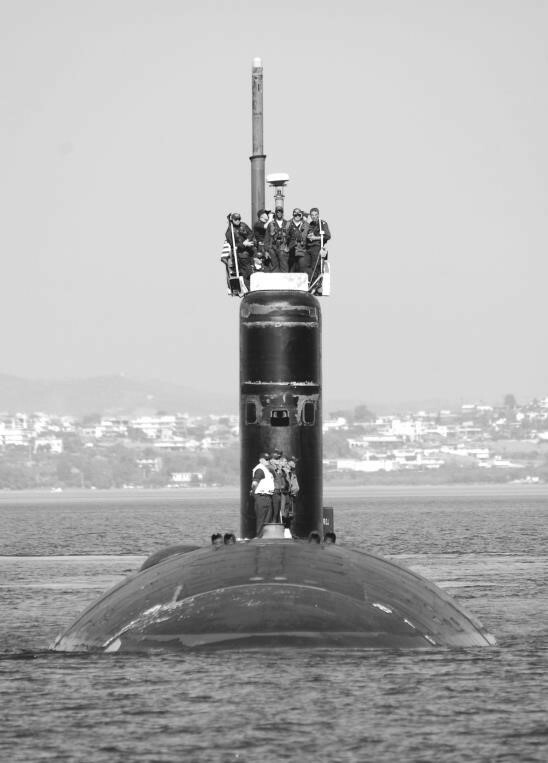 The nuclear powered attack submarine Albany (SSN-753) is escorted out of Souda Bay, Crete, Greece, on 11 Mar 2004 harbor by a security patrol boat as she gets underway following a brief port visit.